The internet has become a common place where all people come to gain some knowledge and solve their queries. A lot of people know about the functioning of a front end of the websites like appearance and navigation, but they don’t have any idea how these are works. Many features of the internet remain a mystery to many people. Some people who consider himself an expert of the internet they even don’t know where to start a site & solve the problem in their site. Without proper knowledge, a simple problem can cause you a lot of troubles. This article tries to educate you about a basic but essential part of the website ownership called website hosting. Web hosting is an online service that permits you to publish your site or web applications on the internet. When you register for a hosting service, you generally lease some space on a server on which you can save all the records and information essential for your site to work effectively. Websites are organized, or saved on special computers called servers. A server is a physical operating system that runs with no disturbance. 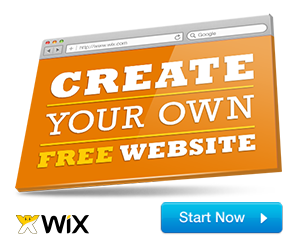 When Web users wish to see your site, all they have to do is type your website address or domain into their browser. Their computer will link up to your hosting server, and your web pages will be sent to them through the browser. Your hosting is in charge of keeping the server up and running, securing malicious attacks, and moving your content from the server to your visitor’s web browser. For using a hosting service, you need to require a domain name. If you don’t have any domain, you can purchase it from the hosting provider companies. Storage Space & Bandwidth – Storage space is the entire amount of space on a server wherein you may keep files, mainly those used to create your internet site. These files may be HTML documents, images, videos, email & site scripts. Some people utilize the storage space as safekeeping for backup data and old copies of site pages. On the other hand, Bandwidth describes data transfer rates on your computer from a website or internet service to end users at a specific amount of time. The bandwidth decides the efficiency and speed on your internet when you open the web page and download the file, images & videos, etc. Higher bandwidth internet connection can send & receive more data at one time faster than a lower bandwidth internet connection. In simple words, we can understand how does it work? Bandwidth works on the same principle of water pipe. The bigger water pipe, the more water can flow through it at once. So, a higher volume of the communication link, the more data can transfer through it in per second. The amount of storage and bandwidth you will need depends upon that which you plan to host on your website. You will need to look a plan that gives you a lot of storage and bandwidth, if you have huge inventories like big text files, images & videos for downloads and who provide to some space for traffic rises on your site. Bandwidth decides how quickly information moves to and from your site. Always check terms and conditions or ask about specifics of the plan before buying it. SFTP – Secure File Transfer Procedure (SFTP) is a safe version of File Transfer Procedure (FTP), which assists in information gain and transfer files between computers over a Secure Shell (SSH) data stream. SFTP is a good method to move your documents to the server easily because you can drag all files at once & you don’t need to upload each file at one time. SFTP is more secure than FTP. It provides an extra layer of protection. While FTP is relatively safe, is still vulnerable. SFTP finishes this vulnerability. Make sure this option should be available while you are purchasing a web hosting. SSL – SSL (Secure Sockets Layer) is a secure protocol procedure for developing secure links between a web server and a web browser in online transactions. The use of SSL guarantees that all information transferred in between the web server and internet browser stays encrypted. Many websites owner use SSL to secure their sites, such as account pages and online checkout. When you are asked to “log in” in a particular site, it is mainly secured by SSL. You should get an SSL certificate for your website to protect from any malicious attacks. Most website hosts have Spam protection, SSL encryption and a certain amount of backups features for web users. Security must be a premier issue for small businesses, especially people that have an e-commerce website. Many hosting companies provide advanced encryption, distributed denial-of-service (DDoS) protection and hack protection, but these services are usually provided in their more advanced plans. Automatic backups and restore – Automatic backups and restore are one of the best features that hosting companies provide for your site. Many hosts offer a tool in their control panel that permits you to backup your website. Daily automatic backups help to save all the data in hosting server. You can restore all your information easily if your site is hacked or affected due to a wrong programming or any other error. Email accounts – If you want to give your business a professional look. Then the best way to do this is you should be associate your email address with your domain name. Gmail account is generally not considered suitable for a businesses email address. You can create a domain email account in your hosting provider cPanel. Many businesses take advantages of the flexibility and power of professional email services. WordPress Support- There are lots of CMS platforms that are providing by the hosting servers and WordPress is one of them. WordPress is an online website design tool. It is an effective blogging and website content management system, which is a handy way to build and manage a website. Customer Support – Whatever web hosting company you think about, ensure that you can believe in it. They respond to your queries rapidly and knowledgeable. Most website hosting services can be contacted quickly and offer several ways to communicate them, such as live chat, telephone, and email. Most hosting providers have a blog on its website that can answer many hosting related questions. Shared Hosting – Shared hosting is a hosting service that enables several websites to share a single server and its resources among the hosted sites. We can easily understand by this example. This hosting is like to live in a hostel where you share your living space with many people. Shared hosting services are inexpensive because the cost to operate the server is shared between you and these other website owners. Shared hosting is a beginner friendly hosting that you don’t need any technical knowledge. All the maintenance and server administration are cared for by the host. Shared hosting is usually recommended for websites that are smaller in size & don’t have a large amount of Web traffic. This hosting is the best economical solution for a personal and small to medium size business which does not have great traffic and requires fewer resources. Because more traffic rises on other websites can slow down your site. VPS Hosting – VPS means Virtual Private Server. A virtual private server is one that is partitioned so that it has its own operating system, disc space, and bandwidth. VPS hosting is like to stay in a hotel room where all the supplies in that room are just for your use. Virtualization technology is used in VPS where a secure & strong server is divided into various spaces that create its virtual server. This means you have dedicated server space and a reserved amount of computing power and memory. VPS hosting can be great for medium-sized businesses with growing websites. VPS gives you more flexibility because you can customize it easily in your way and change memory upgrades, like bandwidth. It provides more privacy and security than shared hosting. It is not very costly as compared to Dedicated Hosting so anyone can buy it, whose website traffic is more. If we talk about its cons, then it offers fewer resources as compared to Dedicating Hosting, and you must have technical & server management knowledge to use it. Dedicated Hosting – Dedicated hosting means that you have your physical web server that’s dedicated specifically to your site. Therefore, dedicated hosting gives you incredible flexibility and control over your server to provide you with root access to management. This hosting is like living in a bungalow, where you have full control, but you also endure all the expenses of maintenance. All servers and its resource usage can be used only by you but restricted for others; hence the security level is more in dedicated hosting. This hosting is the ideal solution for e-commerce sites, confidential issues, large database & high traffic sites because of its high performance, security, and full control. Cloud Hosting – Cloud hosting is a hosting that uses resources from other clustered servers. It means your website host provider provides the virtual resources of other servers, so it satisfies all aspects of your hosting. Your files and resources are repeated on each server. When one among the cloud servers is busy or has any issues, your traffic is automatically forwarded to a new server in the cluster. Special take care of the security in it, and all hardware resources in it are virtually available, so that it can be used at anytime and anywhere. The chances of getting a server down are very less here because all things are present in the cloud and high traffic can be easily handled in this cloud hosting. If we talk about the disadvantage of cloud hosting then, the facility of root access is not provided in this hosting, and it is more expensive as compared to another hosting. WordPress Hosting – WordPress hosting is a specific type of shared hosting which is made for WordPress site owners. WordPress hosting has been optimized for security and better performance in the WordPress site. There is one click install option include in this hosting to make it easy to get started WordPress. Some WordPress hosts keep updating the software automatically as required. Your site runs and loads faster due to the highly developed configuration. This hosting provides you extra WordPress features, such as pre-designed themes, drag & drop page builders, and specific plugins. WordPress hosting is a beginner friendly hosting. It is low in price & easily available at the same cost as shared hosting. As you all know that a computer needs an Operating System, and servers aren’t the exception. Your decision may affect the way you connect to your system. There are two main types of operating system on which you can host your web site; and these are- UNIX and Windows. In this section, we are going to tell you why you should care about which OS is used by your server, and how can you take the right decision between Linux and Windows Hosting. So, let’s get started. You can run a website without knowing that which OS is using by your server. You mainly spend your time interacting with a Content Management System (CMS) or a Hosting application such as Plesk or cPanel. You can get some benefits if you think what OS are you going to use on your server. Some applications software only exists for a specific Operating System like cPanel only runs on Linux. Linux servers provide more customization options as compared to windows servers. So, make sure while choosing a compatible OS to run specific software on your server. Many people will tell you to choose Linux hosting over windows hosting without a second thought. Because we cannot ignore the fact that Linux is the most popular than windows these days. Now, we are going to explain the pros and cons of both Linux and Windows. Linux OS is a popular version of the UNIX operating system. It is designed in the free and open source software development and distribution model. Linux has a free source code that is used to make it open source software. Linux is famous for its stability as an Operating System. It can be adapted for any environment because of it’s an open source platform. It is more secure OS than Windows. Linux is free whereas you will have to purchase a license for setting up Windows on one of your servers. The only downside of choosing Linux as your server is its learning necessities. It’s easy to learn how to operate the system but to get more output; you have to get more comfortable with its command line. Linux is the most common and widely used operating system in the web hosting. Windows is the most popular OS than others in the world. You might be very familiar with its use on the PC. Windows hosting is referred to those sites that are hosted through the Windows OS. It offers Windows-specific technologies such as .NET, ASP, Microsoft Access and Microsoft SQL server. Windows is easy to set up and configure as compared to Linux. You can easily develop a web application in a Windows-based environment by using the .NET framework. Windows hosting is the right alternative for you if you don’t want to deal with lots of customization options. The disadvantage of Windows hosting is that Windows stability and security is not reliable as compared to Linux. Web hosting provides services that allow you to have a website on the Internet. There are various important factors to take into consideration when selecting a hosting service. A good suggestion for when you are choosing a hosting company is to go online and briefly read the terms & conditions of their plans and check the many reviews online. Do not just rely on what you read about their plans; you should also see if you can get useful information from their current customers or not.You should carefully examine the provider’s website. A good website is generally packed with information about the various things that you should learn to use to optimize your site. If you are using a simple shared server or a large dedicated server, resource limits will be required. These are typically offered in CPU usage, entry processes, memory usage, and disk usage. Limited restrictions are also considered, such as databases, bandwidth, and FTP accounts. An Internet connection should be reliable for keeping your site available all the time. Think twice if you’re thinking of using a free or cheap web host provider. This price can be very attractive to a limited budget, but it might not be such an awesome deal later on. If your site is growing, you might be stuck with a web host that cannot handle the growth. Web hosting is essential for your site whether you are running a personal blog or an e-commerce business. It provides complete resources on which your website runs effectively. There is no shortage of options, but it can be difficult to know where to start -especially if you’re not a techie. You should keep in mind that your site should always perform well & error free. For this, you will have to choose the right hosting to ensure that your website never goes down when someone visits it. We have explained all the topics that are important to consider before purchasing the hosting. We expect that this post will assist you to choose which hosting is better suited to you.